Powelton Village is part of University City—a ten-minute walk from Philadelphia’s central train station (30th Street) and bordering on the campuses of Drexel University, the University of Pennsylvania and the Science Center. We are a family-friendly, diverse, welcoming community. We have a proud record of pioneering efforts in racial integration and progressive social practices. Our public Samuel Powel School (K-4) and Science Leadership Academy Middle School (5-7) are excellent learning communities. Much of Powelton Village was built during the 19th Century. We are a National Historic District, featuring many excellent examples of Victorian architecture, some of which are on the National Historic Register. Read more about Powelton’s history here. 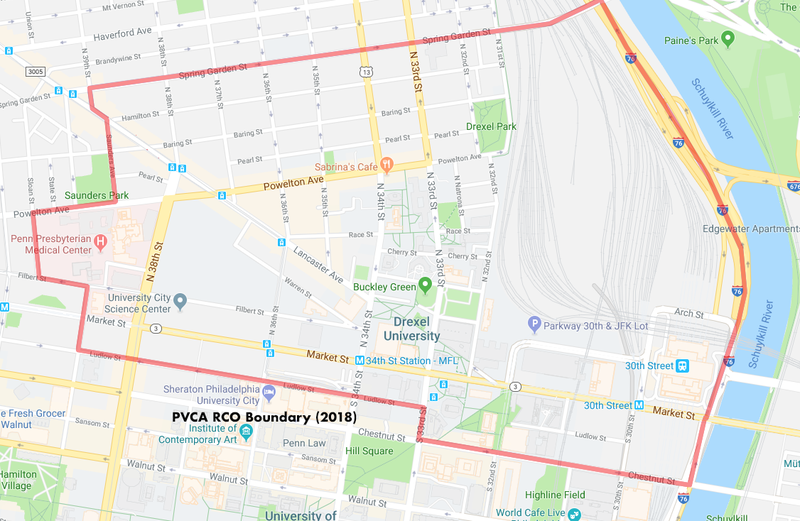 Recent legislation of the City of Philadelphia created a Neighborhood Conservation Overlay (NCO) that sets stricter standards for new construction to preserve the architectural cohesion of Powelton Village. The requirements and limitations set by the NCO may be found in this booklet. We have great public transportation, quick access to the Philadelphia International Airport, several nearby supermarkets and restaurants, and easy access to a wide variety of cultural events. We are also part of the West Philadelphia Promise Zone and we collaborate in many ways with our adjoining neighborhoods—Mantua and West Powelton/Saunders Park—via the Mantua-Powelton Alliance (to promote community stability) and the Dornsife Center for Neighborhood Partnerships (operated by Drexel University).